Why Hire Vince Manzone to Sell Your Home? Vince knows Vaughan and the surrounding GTA real estate. 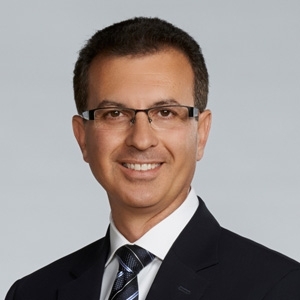 His knowledge of Woodbridge, Kleinburg, Maple, King, as well as his extensive knowledge of the communities in the surrounding Greater Toronto Area is a genuine advantage to home sellers and buyers. He knows what it takes to get homes sold in these communities. Vince Manzone understands how much is at stake, and he believes you need both the right qualified professional as well as a professional you can feel comfortable working with. He invites you to visit his bio page and read his story so you can get a sense of who he is as a person and as a professional‚ and more importantly, what he stands for in both facets of his life. He will provide professional fiduciary representation throughout your entire transaction. You will receive a Comprehensive Comparative Market Analysis (CMA) of your home's current value. He will provide you with careful one-on-one guidance and consultation through each phase of the process, helping you make sound decisions and navigate the complex paperwork and legal issues affecting your transaction. His state-of-the-art website is a high-quality resource where you will find a wealth of information and access to a variety of real estate tools you may need to maximize your home sale or purchase. His commitment is to always place your best interests foremost and negotiate on your behalf to ensure you receive the most money possible for your home. He will access his extensive network of area real estate professionals and brokers to get the critical exposure that will get your home in front of the right buyers. From his years in the industry and her strategic and professional marketing efforts, he has cultivated a network of qualified buyers looking for a home just like yours. He will arrange and coordinate professionally hosted showings of your home to other real estate brokers which is important for getting the critical initial buzz about your home. He will also conduct agent open houses as required. Aggressive and professional marketing plans to ensure the right exposure of your home to the right prospective buyers and/or their agents. Listing your home on the Multiple Listing Service (MLS). He will also showcase your home on his personal website. In addition, he will promote your home on a variety of other highly trafficked real estate sites, including her company's site, Realtor.ca, MLS.ca and many other respected and highly visited real estate websites. He has handpicked a list of respected and trusted vendors to help you through each step of the home selling process. Vince is backed by a stellar support team, which allows him to keep his focus on meeting your needs and goals. He will take the time to customize your home selling experience to meet your family's specific needs. These are just a few of the reasons to select Vince Manzone as your Realtor®. You will take comfort in his extreme level of professionalism and you will enjoy working with him to get your home sold quickly and for top dollar.